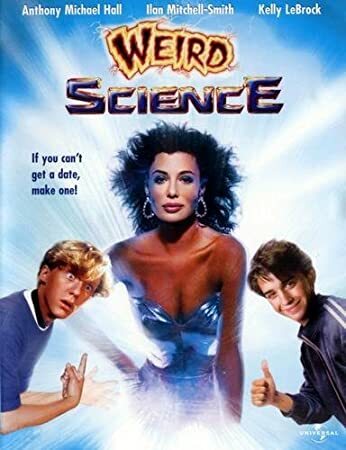 It seems as if I have never seen the 1980s classic Weird Science, because when I pulled it up on Amazon Prime today, I was unfamiliar with the movie. I mean, I knew the general plot and I knew a couple of details (I know I had seen the “shower” scene before), but I realized quickly that this was almost totally new material. This was everything that I dislike about this genre of movie. Here I was thinking that I had missed something by not seeing Weird Science, but I just thought it was immature, ridiculous, sophomoric nonsense with mean spirited characters who I really did not want to spend any time with. I was about to shut it off. I was preparing to make this a “Putrescent” film. However, I will say that the third act of the movie improved considerably. I liked how the film worked itself out and how the two main characters, Gary (Anthony Michael Hall) and Wyatt (Ilan Mitchell-Smith), actually showed growth and became the type of people that I did not want to smack across the face. So many moments in Weird Science that irritated me instead of making me laugh. It highlighted the bottom of the barrel for teens and their behavior. I just did not like what I was watching. As I said, the ending, while ridiculously over-the-top, showed some promise of what could have been. This one was not a good movie and I am not sorry that I hadn’t watched it up until today. Unfortunately, I can’t say that any longer.